Hello. 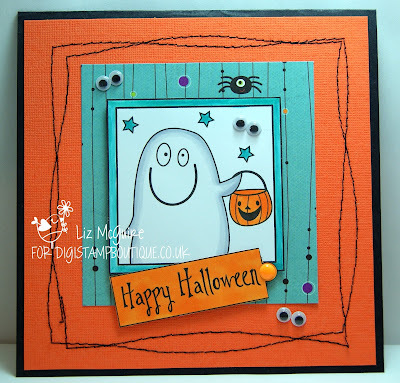 Spooky season is nearly here and there are brand new images in the DigiStamp Boutique that fit the bill perfectly. Witches, pumpkins, ghosts and more! 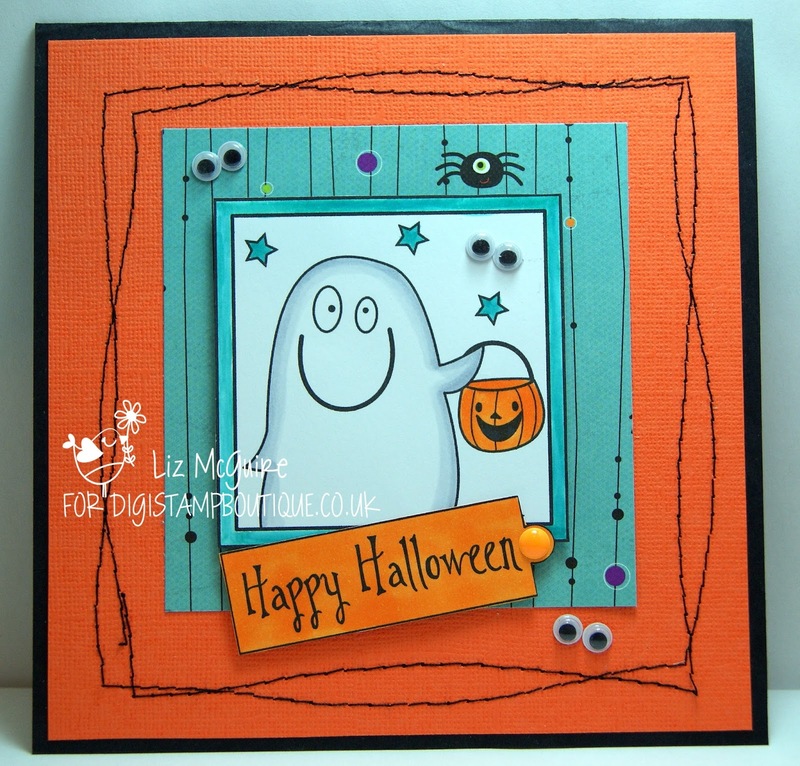 There is also a Halloween freebie - a little set of spooky sentiments that you can nab here. For my card I used the ghost from the Halloween Squares set and copic pens to colour. A little snippet of BoBunny paper, some black machine stitching and I coudn't resist using a few pairs of googly eyes. Don't forget that if you make something using any of the Boutique's images you can enter the monthly competition - all the details are here. Great card Liz, love the stitching and googlie eyes! Super cute! Love that darling little ghost! I love Halloween, and this so puts me in the mood!